New Year’s Eve is a special holiday, and the makeup you choose to wear on that day should be special too. After all, they don’t say “as the New Year is met, so will it be spent” for no reason. On New Year's Eve, all the girls want to look perfect and dream of surprising those surrounding them with their stunning views and magical beauty. Be beautiful - as the New Year meet, so spend it. New Year's makeup is completely different from everyday makeup. It aims to create a festive mood, and to accomplish this all possible means are used. What’s necessary for New Year's Eve makeup? ★ Rest. It is advisable to find an opportunity to postpone the New Year chores for a while and at least get some rest before the holiday. Of course, it is not easy to do because December 31st is usually a very busy day. Still, try to relax and rest because fatigue won’t do well for your appearance. ★ Cleansing. Before applying makeup, thoroughly clean your skin. Cleanliness is the guarantee of health, and the skin should be of utmost concern. ★ Durability. For New Year's it is better to choose resistant makeup. This way you will not have to worry about your look throughout the long night ahead. Usually this night is full of events—dances, feasts, parties, festivals and much more. ★ Radiance. Do you love sparkles? New Year's makeup is the only case where you can hold yourself from absolutely nothing! 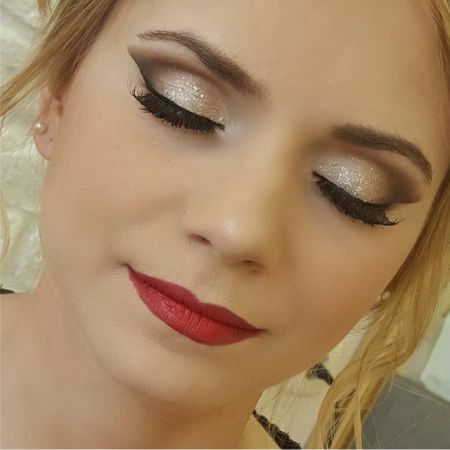 Pearly shades of lipstick with gloss, powder with a flickering effect, sequins, and rhinestones are all acceptable in helping you create a memorable, magical look for New Year's Eve. Do not be afraid to shine bright in the truest sense! 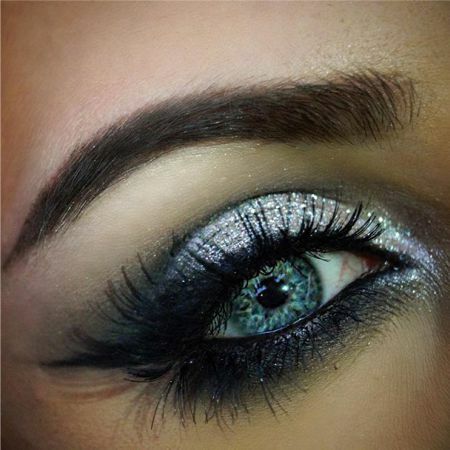 Look brilliantly help make up for the New Year! ★ The correct accents. Nevertheless, we should not forget about emphasis on the correct areas. If you want to enhance the beauty of your lips with a bright lipstick, then the eyes should look more modest. And vice versa. ★ No routine! No light beige and pale olive. In the magical glow of Christmas lights, everyday makeup will look pale and uninteresting in comparison. Choose bright colors, experiment with forms, and you will be rewarded with admiring glances. ★ Care. Even if you are tired after a holiday, find the strength to remove the makeup from your face. Sleeping with makeup on is harmful to the skin and you will feel uncomfortable. 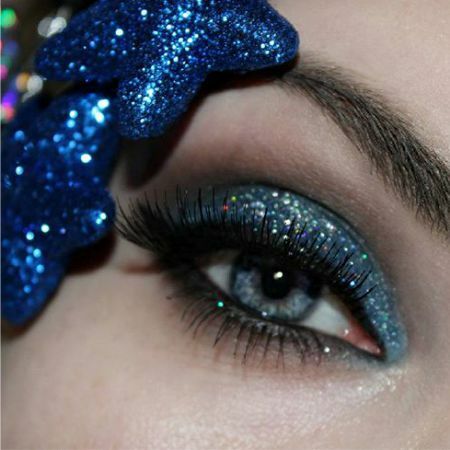 Like the article «Holiday Makeup»? Share it with friends!